Two thermal bristle brush attachments, 21mm & 32mm. 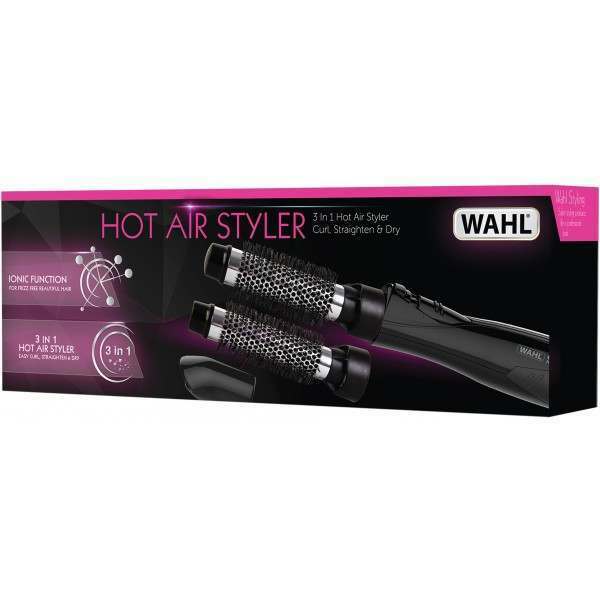 The 3 in 1 Hot Air Styler gives you the ability to curl, straighten and dry your hair. Features two 21mm & 32mm interchangeable thermal bristle brush attachments that allow you to add volume, body and shape. I love this styling brush. It is light and easy to use. I like the different size brush heads and I don't have a problem with the different power speeds. I would recommend this styling brush to anyone who is looking for a 32mm brush head. Overall i like this styling brush. 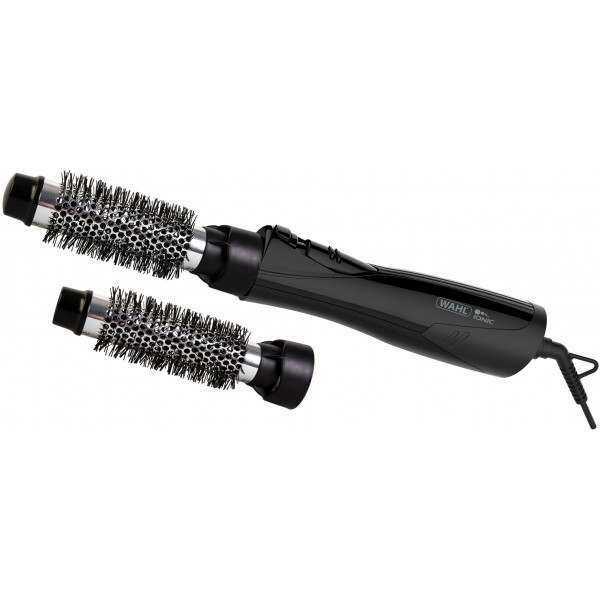 Its has a good length lead and the brush heads don't tangle my hair. My one criticism is that there is a big difference between the two power settings. I would have liked setting one to have been a bit stronger as setting two is very strong but this is only a small comment.